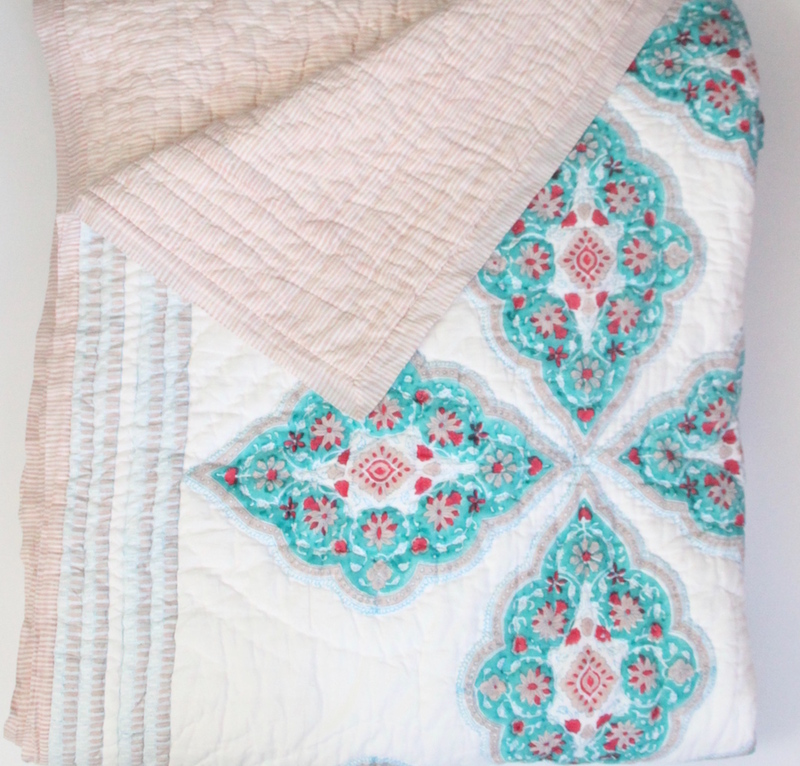 This quilt is our absolute favorite! 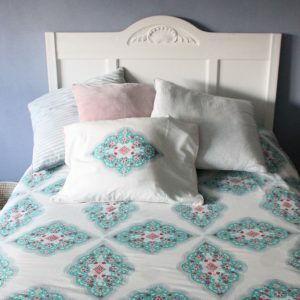 This quilt is made of a very comfortable soft and lightweight cotton quality. This quilted bedspread has a colorful Indian pattern ‘Hindi’ on one side. 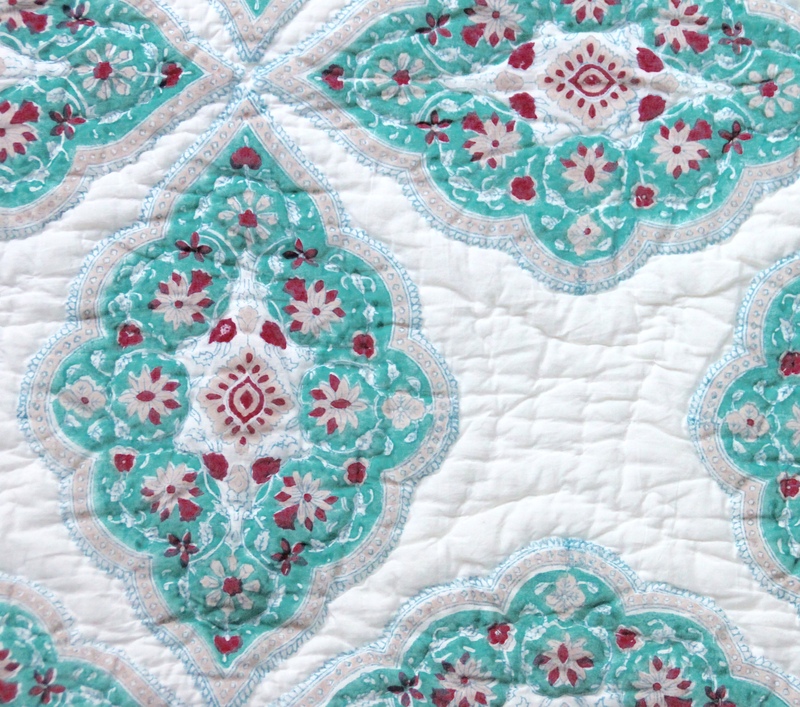 The reverse has a pale pink striped pattern. Both sides are beautiful! 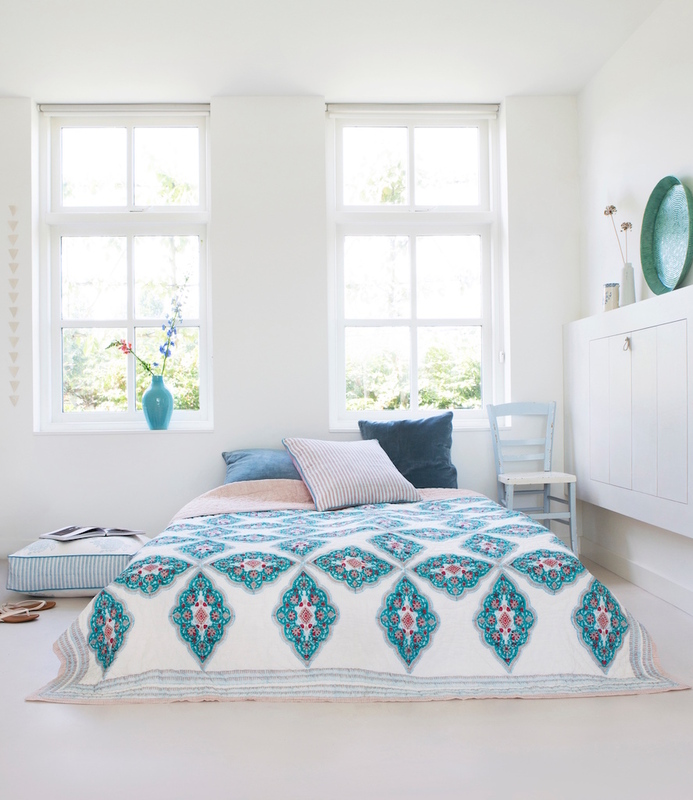 The quilt is handprinted and hand stitched with love, which makes it a sophisticated complement to any bedroom. 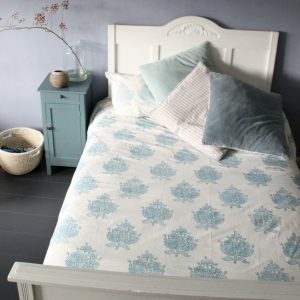 You can use the bedspread as a duvet in the summer. That’s what Indian people do. 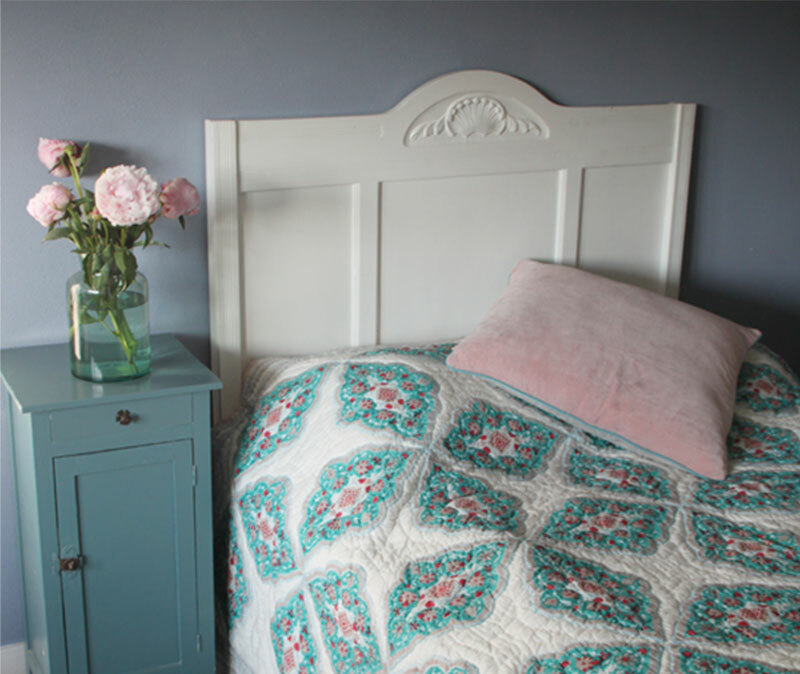 In the winter, the bedspread is an extra warm layer on top of your duvet.